Since humanity began to explore the earth, tools have always been essential to their survival. Back then, bows, arrows, knives, hatchets, axes, scythes, etc. were tools that were put to good use and played significant roles in preserving life and limb. Today, tools are continually developed to not only sustain but also to improve our lives. This is why we have vehicles, servers, computers, etc. to make life easier and restful. However, there is one problem: most traditional hand tools are cumbersome, and keeping a toolbox that is always well-stocked can be pretty grueling. But because of the innovative side of our humanity, engineering impressive survival multi-tools using modern technology is easier than never. Most of these tools are lightweight and can easily be attached to your hip or kept in a bag. They come in handy in everyday situations, especially in survival circumstances. And I’m talking here about multitools. 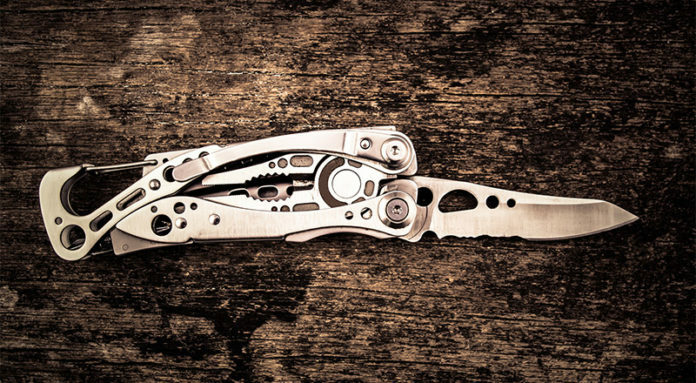 A multi-tool is a portable hand tool that has a combination of functionalities of several unique components in one. The Swiss Army knife is one of the first examples of multi-functional tools in one unit. The early Swiss Army knife models sported a knife blade, a wire stripper, a screwdriver, a bottle opener, and a can opener. But as these models evolved with time, more tools were introduced in the market. Today, there is a broad range of pocket knives, complete with nail files, multiple screwdriver bits, scissors etc. 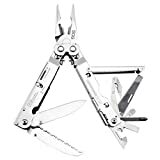 They are the preferred pocket survival multi-tools choice for outdoor enthusiasts, mountaineers, and campers since the first of its kind were produced in 1983 by Leatherman. 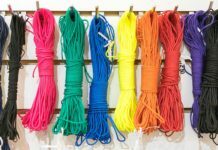 These days, however, several brands fabricate and sell them, making it somewhat difficult for buyers to pick the best out of them in the market. If you are a survivalist, i.e. 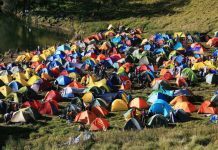 you love camping, mountaineering, hunting, hiking, etc. 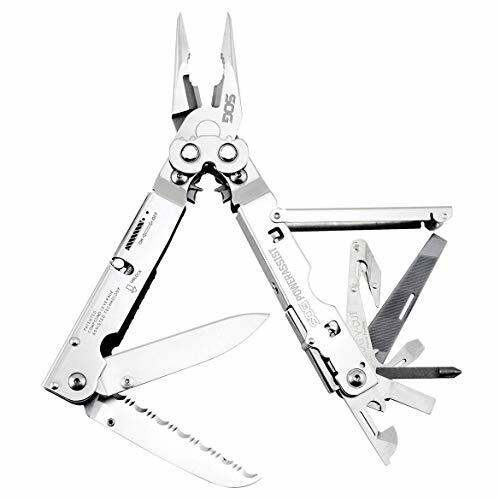 – then you need to have at least one of these survival multi-tools in your survival kit. There are several dozens of different types on the market nowadays, and buyers always have a hard time making the right choices. Each of these devices can serve anyone’s purposes. But how can you identify the one that is right for you or your needs? You need to make a smart decision when it comes to choosing the right one. It does not make any sense to buy one with features that you may never use. Such a tool will only add to the size and overall weight of the package, making it burdensome for you. If you are an artisan or someone who performs precision work time on a daily basis, then you need to be sure that the tool is made of high-quality materials. Being made of materials of high quality means they’ll not easily get damaged by regular use but will stand up to the strain remarkably. Unfortunately, the market is full of low-quality products. So, keep your eyes open to avoid problems later on in the future. You need to also consider how easy it will be for you to put it to work. You don’t want to be caught fumbling around to either get the implement out of your pocket or to open and use one of the individual tools therein. It can be very embarrassing. Since they are a combination of a variety of tools, you need to consider which of the individual implements is most important to you. If, for instance, you know that the screwdriver will be the most essential component of all to you, make sure that the multi-tool you end up choosing has a readily accessible screwdriver. They must not be difficult to access or use effectively, or else their purpose will be summarily defeated. So it must deliver on its promise as a worthy tool to keep handy at all times. 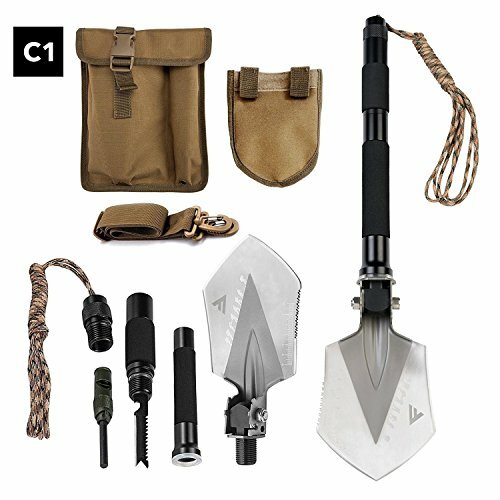 There is a reason why they are called survival multi-tools and the reason is not far-fetched; the implement has multiple components embedded and combined as one all-purpose apparatus. Some of them come with as few as six implements while some come with as much as 27 other tools. This implies that you can opt-in for any multi-tool of your choice, based on the type as well as the number of individual implements in it. With multiple functionalities, they are ideal for people who are always busy fixing one thing or another. Just make sure that the multi-tool you want to buy has all the necessary individual implements that you are looking for. Different tools, different price tags – usually from below $20 to $100 or even more. 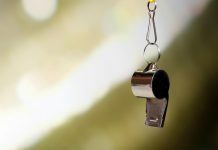 But the amount of money you spend will depend significantly on the type of jobs you intend to use the tool for as well as how often the device will be put to use. 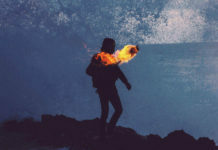 But if the only reason you want to own one is to have it within reach when emergencies arise, then there is no reason for you to splurge too much money on a high-end tool. 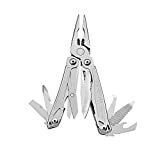 If, however, you are a qualified artisan who needs his own tool now and then, it is okay to go for a multi-tool with numerous elaborate features that will be useful for you. One feature that takes the brunt of use almost on a daily basis is the knife. 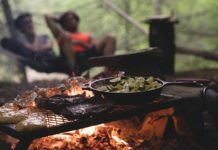 It is highly crucial for electricians or campers to have and use high-quality knives so that they can be applied easily to the myriad of tasks out there. 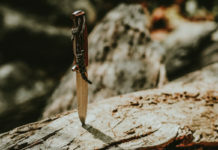 So, if the knife part will come in handy in the future, it is vital for you to ensure that the device has a high-quality blade which can be readily accessed and replaced if and when necessary. But if you’re going to use the knife only, consider buying a regular knife, instead of a multi-tool. We’ve put together an article explaining the differences between both. You might want to check it out. The business end of most devices is fitted with either wire cutters, pliers or scissors. Your specific needs will determine which one to go for. If you’re a makeshift engineer and will need to use it for wiring projects or heating, ventilating, and air condition (HVAC) work, then you need a multi-tool that comes with pliers. But if your work will involve dealing with cardboard, plastic sheets, paper or other cuttable materials, a multi-tool with scissors is the best option for you. 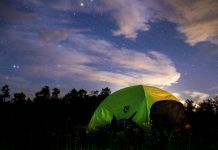 If you are an outdoor enthusiast or camper, the chance to put the gizmo to work is high. 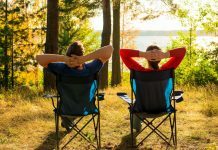 You may use it extensively or every day when camping, and this is why you need a tool that can withstand lots of wear and tear. Go for one that comes with an excellent warranty coverage which can see the device through its life span. Nearly all brands that manufacture these devices provide from 25 years to limited lifetime warranties. Therefore, take your time to check the warranty that is available with your target brand before you shell out your hard-earned money for the tool. Majority of the devices out there weigh about six ounces on average and four inches in length when folded. When the knife is open, the length may increase by an additional two inches. The weight is never a problem as most of them have negligible weights. However, the length can be a big nuisance when carried in the pocket. Of course, there are a few out there with lengths that allow users to move them around without any problem. But it has to do with what you want in the long run. A majority of the devices in the market today come with a leather pouch or sheath which serves as a covering for the tool. The sheath can be attached to the belt, and will not impair mobility in any way. Of course, if you don’t like using belts, you can always strap the tool to your backpack or slide it into a side pocket. Once again, it’s all about what you want. It is an impressive implement manufactured by one of the foremost companies in the industry today. It’s compact, durable, convenient, and cost-effective. It allows craftsmen or artisans to perform at optimum levels, thanks to the variety of implements embedded in the device. It is 3.8 inches long – when folded – and weighs approximately 7oz. The Wingman, designed and manufactured in the USA, is a remarkable, pocket-sized device that will completely transform the way you work as it allows you to carry out your tasks without hauling your toolbox up and down. It is made of high-quality stainless steel and is portable. It is also constructed with the one-hand capability that has made it a force to reckon with in the market today. 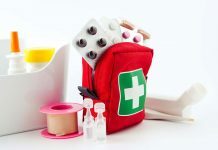 It comes with fourteen individual implements which include pliers, a knife, wire cutters, scissors, screwdrivers, a package opener, a ruler, a file as well as can and bottle openers. The Wingman comes with an incredible 25-year manufacturer’s warranty. 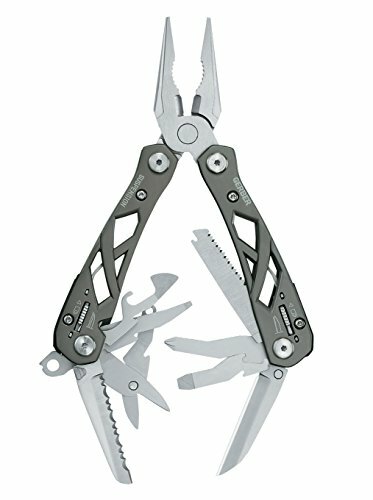 The Geber Suspension Multi-plier is designed to deliver, no matter the external conditions. It is the top choice for auto mechanics, electricians, roadside assistance professionals and HVAC technicians. It is portable, easy to use, and affordable. It comes with a contoured handle which provides a personalized impression while the placement and logical design of the numerous individual implements indicate that you will not waste any time tripping over them when the time comes to use any of them. The entire ensemble is fabricated from high-strength 440 stainless steel, and everything folds up to almost nothing. The fact that the plier function is prominent may fool you enough to make you believe that this device is meant for electricians only. This is far from the truth because the device is designed to be used by all and sundry. This is a high-quality device that showcases 16 individual components which comprise the following: a hard wire cutter, a Phillips screwdriver, a three-sided file, a bolt grip channel, SOG Assisted Technology blades, a V-cutter, flat screwdrivers (large, medium, and small), wire crimper, straight-edge, and serrated blades, etc. They are useful for a variety of outdoor tasks in the wild. It also has an impressive design, and the quality construction – made of 420HC stainless steel – gives the assurance that the tool can withstand rough or rugged use in the most challenging situations. The device is 4.6 inches in length when closed and weighs approximately 9.6 ounces. This is an all-in-one, virtually indestructible device that any outdoor enthusiast will love. It comes with an exclusive lock adjustment and ergonomic design, yet compact enough to be carried on a backpack. 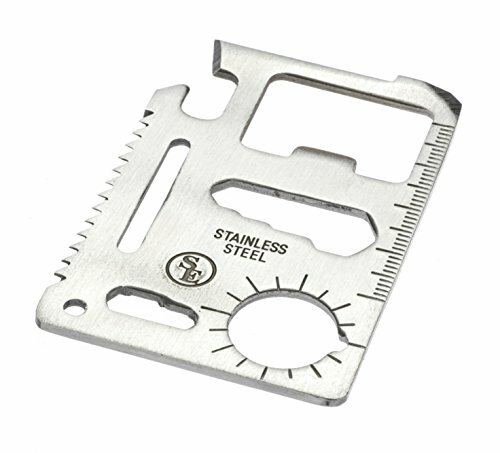 This is an 11-in-1 pocket-sized survival multi-tool that can be used while biking, camping, hiking, at home or work. All you need to do is to attach this portable device onto a lanyard/jump/split ring/key via its keychain hole. 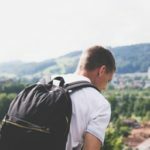 Of course, you can take advantage of the fact that it is not larger than a credit card and you can actually keep it in your wallet, pocket or emergency kit. It has the following functions: can and bottle cap openers, 2-switch wrench, knife edge, keychain hole, 4-position wrench, screwdriver, etc. It is fabricated with stainless steel and comes along with a fitted leatherette carrying case. This amazing gadget comes with a hammer, an axe, flathead and Phillips screwdriver, pliers, multiple blades, wrench, wire cutter, file, saw, and knife. It is a heavy-duty stainless steel tool that is fitted with a wooden spring-action handle with safety lock. 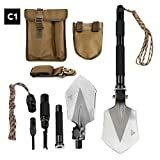 These survival multi-tools come with a belt loop and carry bag. Axe appears to be dull, but it’s more of a personal opinion. 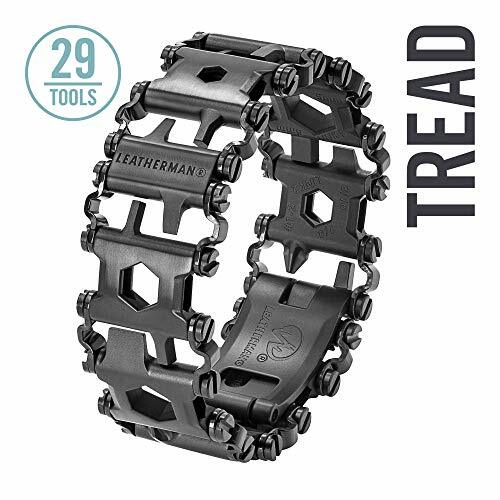 The Leatherman Tread Bracelet is one of the most innovative implements in the market today. 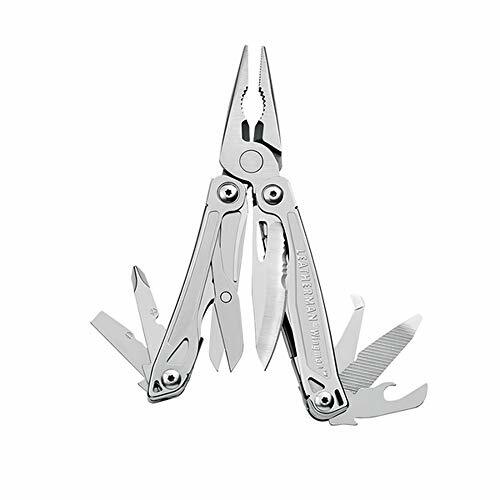 It has an attractive design, is wearable, and composed of multiple high-quality stainless steel links which bundle at least two to three tools respectively, amounting to 25 unique tools. 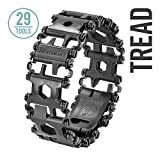 Users with small wrists can remove one or two links, and the multi-tool can also be used as a watch band. All you need to do to access and use the component of your choice is to remove the multi-tool and fold it such that the individual implement you want to use is facing up. The rest of the fabrication can be employed as a handle when in use. 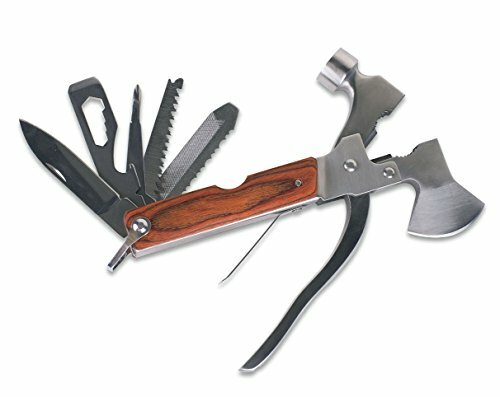 There are many survival multi-tools out there that you can go for based on your particular needs and budget. But you need to make sure that the device you purchase is constructed of high-quality materials to enhance durability and longevity. It should be compact, lightweight, and versatile enough to be used in a wide range of tasks in your outdoor adventures. You must be able to carry it in your pocket or backpack without feeling burdensome. The multi-tools highlighted above should give you excellent ideas of what you need and what is available. Pick any one you think it’s fancy and makes you feel better prepared as you embark on your outdoor ventures. You’ll be armed with a multipurpose implement to help you overcome any situation that may crop up without warning.